The Liver Bird is in the running for best female football blog and it's all thanks to you lot! The Football Blogging Awards released the list of nominees in each category last night and The Liver Bird is in the female short list along with some other great blogs! I can't thank you enough for voting for the blog and your support means the world. It would be lovely to be rewarded for doing something I love and being on the short list is just fantastic! The awards will be held in Greater Manchester on July 14th and that is when all of the winners will be announced. It looks like a brilliant event and I think they are planning on streaming it live so I will be sure to keep you posted on how you can follow it via Twitter updates. The fixtures were released today much to the excitement of many a Liverpool fan ready and eager to find out who exactly Brendan Rodgers would face in his first game as Liverpool manager. As it turns out it will be away to Steve Clarke's West Brom. The first three home games have got many talking as the Reds will have to face Manchester City, Arsenal and then Manchester United on the bounce at Anfield. There's no hiding from the fact that this is a difficult start but to be the best you have to beat the best and plus, if you look at it with a neutral head, if Brendan's boys win these games or get some good results we'll be laughing but even if they don't they have the large portion of the season to focus on before these fixtures swing round again. I say bring it on! One thing most people like to do is look at the fixtures closest to their birthday and for me it's Newcastle at Anfield the day before. With the Euros starting on Friday, kicking off with host nation Poland facing Greece I thought it would be nice to do a round up of the Liverpool players at the England camp in Poland. Injuries to some of the England players meant that the original 4 Liverpool squad members was increased to 6 by Roy Hodgson. 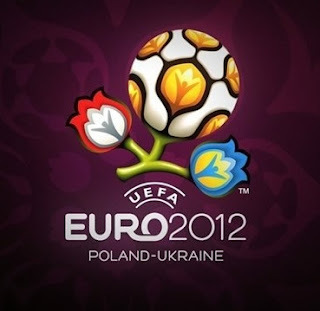 Steven Gerrard is England's captain for Euro 2012 as chosen by Roy Hodgson. As Liverpool's long standing captain we all know he has a real presence over 90 minutes and can encourage or spark a performance out of most players. More so than ever though Steven Gerrard is left in a tough position because Hodgson's side this year is one of change and of youth. There's some experience next to Gerrard in Scott Parker but many of the midfielders and forwards are lacking in England caps. Folks, as you may well have noticed from my tweets and updates on the Facebook page, I've entered the "Football Blogging Awards". They have 10 categories and The Liver Bird is up for best female football blog. There are some top candidates in that section and there are lasses with blogs from all over the place and from all sorts of different clubs but wouldn't it be fantastic for The Liver Bird and Liverpool to do well? 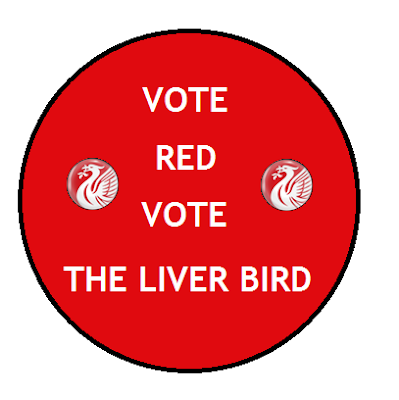 There are two ways to vote you can simply follow this link - https://www.facebook.com/questions/376226079081081/ and select "The Liver Bird" which takes less than 2 seconds. If you are a Twitter user you can tweet "@TheFBAs @Username #Female" simply replace the username with "LFCKirstyLFC"
For a full breakdown of the rules follow this link. Sami Hyypia was at Liverpool Football Club for a fantastic 10 years. As Houllier's signing in 1999, I grew up with the Finnish defender commanding the Liverpool back four. From a relatively unknown element brought into the Liverpool side he flourished into a fan favourite and a legend in his own right. Hyypia was born into a footballing family as his Mother was an amateur goalkeeper and his Father played for Finnish side Pallo Peikot. His early sporting days saw him take up Ice Hockey whilst in school which is a popular choice in the Scandinvian countries but the footballing influence eventually filtered its way through to Sami.